The crowd shows support for Long Beach local Scott Dickson after the final race against Ian Williams. Long Beach, California, Sunday, April 7, 2019. Photo by Sarahi Apaez. 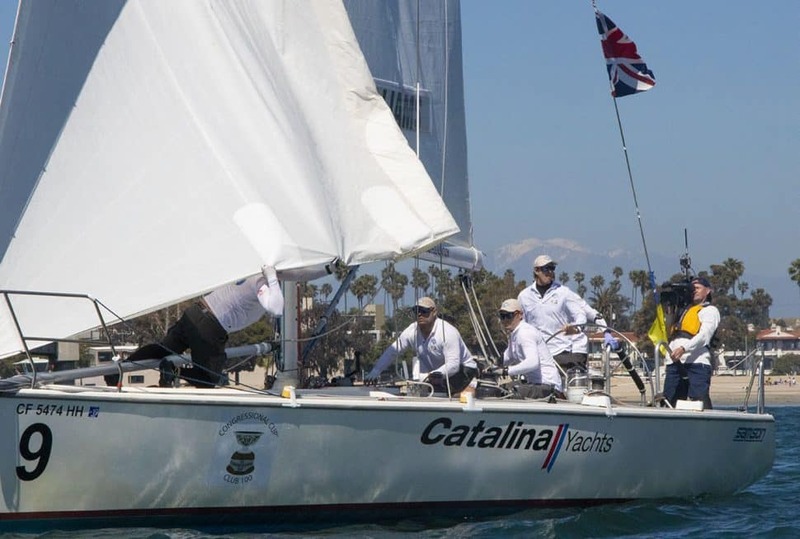 Under sunny skies with winds capping at 12 knots on Sunday, Great Britain’s skipper Ian Williams outsailed Long Beach Yacht Club member Scott Dickson to win the 55th Congressional Cup in the waters off the Belmont Pier. 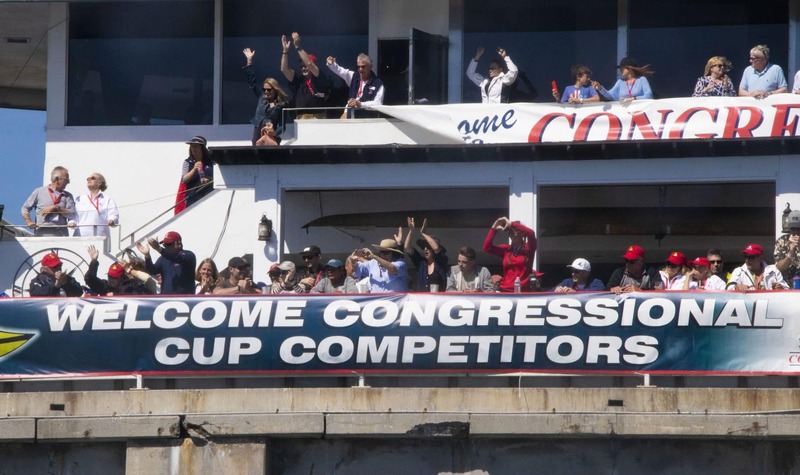 The victory was Williams’ fourth Congressional Cup victory and prevented Dickson from becoming the first LBYC member to win the regatta since Rod Davis’ 1981 victory. 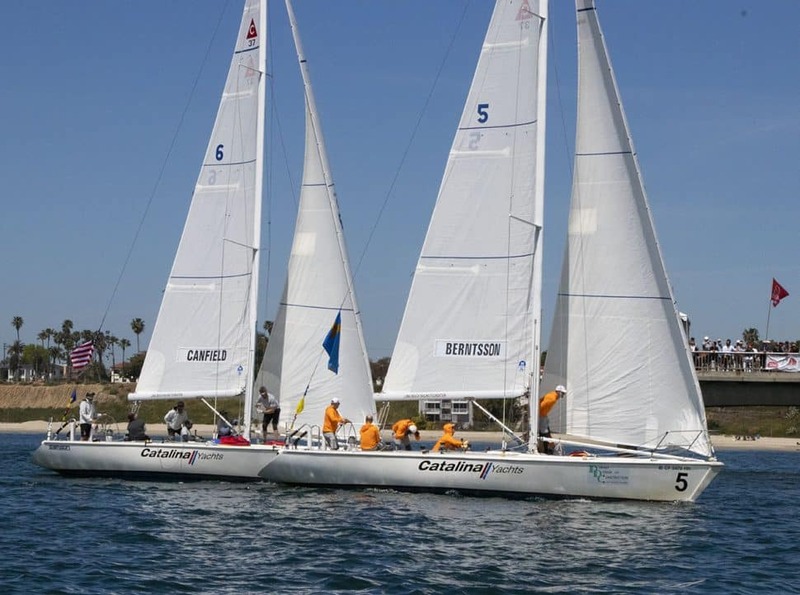 Still, it was a great day for the locals and a large and enthusiastic crowd cheering from the pier, with new LBYC member Taylor Canfield winning third-place after beating Sweden’s Johnie Berntsson in the Petit Final. 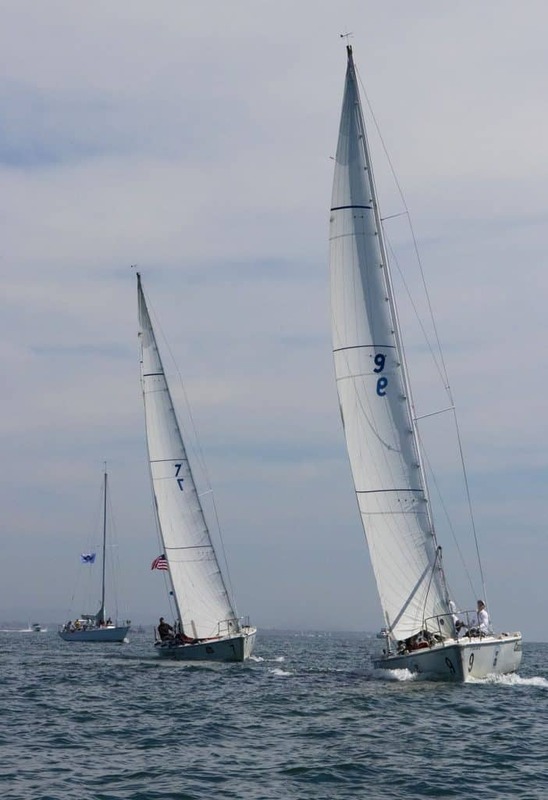 Ian Williams (Boat 9) and Scott Dickson (Boat 7) competing for the Congressional Cup title. Long Beach, California, Sunday, April 7, 2019. Photo by Sarahi Apaez. 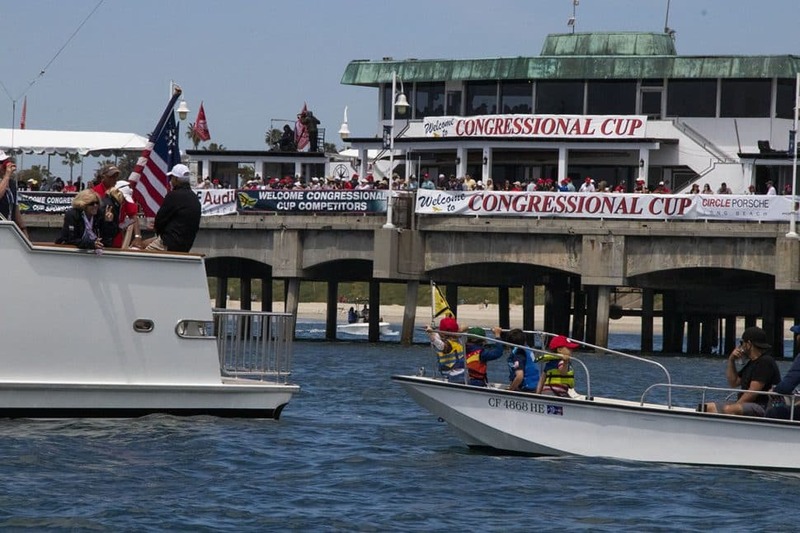 Winner of the 55th Congressional Cup, Ian Williams, representing England and his crew. Photo by Sarahi Apaez. Ian Williams and crew Richard Sydenham, Tom Powerie, Gerry Mitchell, Jim Turner, and Matt Cassidy celebrate claiming their fourth Congressional Cup. Photo by Sarahi Apaez. The crowd goes wild in support for Long Beach local Scott Dickson after his race against Ian Williams. Photo by Sarahi Apaez. Taylor Canfield took third overall after beating Johnie Berntsson of Sweden 2-0. Photo by Sarahi Apaez. 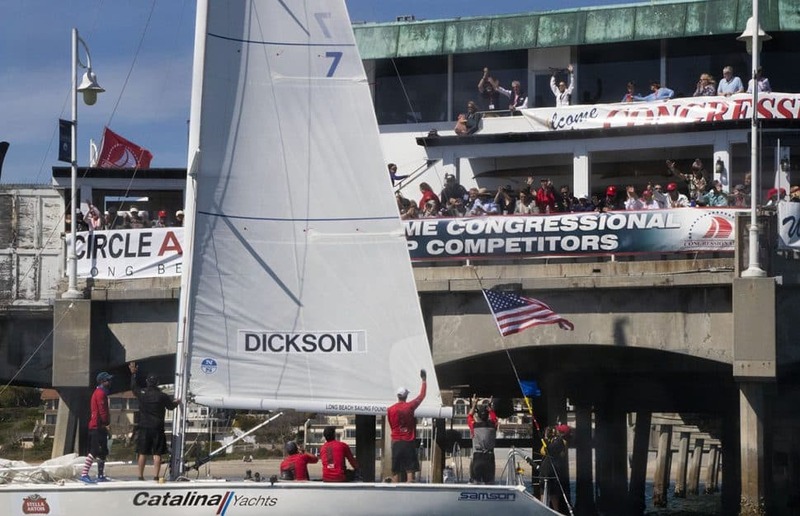 The Long Beach Yacht Club waves a peace sign to child spectators while they wait for the 55th Congressional Cup to begin. Photo by Sarahi Apaez. Petit Final racers Johnie Bertsson and Taylor Canfield. Photo by Sarahi Apaez.